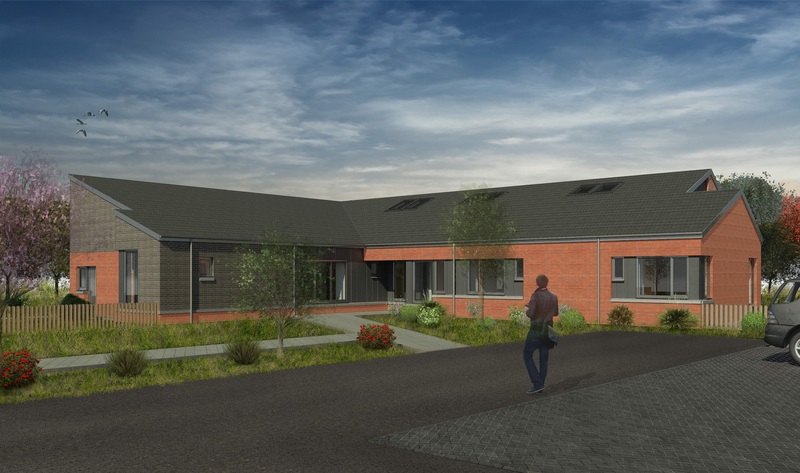 Oliver + Robb Architects (ORA) were selected and commissioned by McTaggart Construction to provide architectural services in the design and delivery of a new Residential Care House for Renfrewshire Council. The building’s design takes influence from the surrounding context avoiding any inference to an institutional or public facility. The scale of the building, coupled with the application of materials including contrasting modern facing brick, aluminium windows and zinc cladding provide a contemporary domestic scale solution that seeks to create a homely atmosphere where residents feel welcome. Visibility and legibility are key drivers in the building design as well as functional performance, the internal and external spaces have been carefully arranged to enable continued passive surveillance around the building and is located within generous grounds providing opportunity for residents to experience and socialise in the landscaped gardens. Construction works commenced onsite earlier this year with a scheduled completion in October 2018.